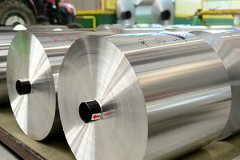 The marine aluminum sheet is mainly used for process ships, boat and yachts and they also developed rapidly. Due to the harmful substances generated during the construction and dismantling of FRP boats, aluminum boats have been developed. Marine aluminum alloys have been widely used in the world. Water yachts are also divided into many different types, and are generally divided into freshwater lake yachts and seawater yachts. Aluminum alloy manufacturing yachts can meet both of these needs and contribute to the lightweight of yachts. There are two types of aluminum alloy yachts, one is a small yacht, usually four or five people, and the other is a luxury yacht, which can take more than a dozen people. The marine aluminum sheet price is different with different alloy and application. In general, small yachts are generally in freshwater lakes and rivers, and generally do not travel at sea. The material of the freshwater lake small yacht is generally made of 5052H32 aluminum plate or 5052 O aluminum plate. Because it is fresh water, the corrosion is not as strong as sea water, so it is made of 5052 aluminum alloy. Marine yachts are almost all luxury yachts. Due to the corrosive nature of seawater, they are usually made of high-magnesium alloy of 5083 H116 or 5083 H321, and they have good corrosion resistance through special processing technology. Haomei marine aluminum sheet has passed the CCS classification society certification and the DNV classification society certification on the aluminum alloy ship board, and the quality of the aluminum alloy is controlled.